Stress is a medical condition that occurs with the rise of pressure and tension in life. Around 60% people of the world are suffering from stress. Stress increases the risk of stroke, brain tumor, high blood pressure, and migraine. The excessive pressure and tension disturb the blood circulation inside the brain. 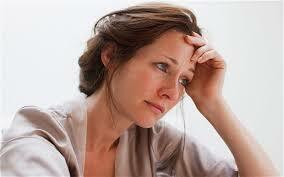 Mood swings, sleep disorders, irritation, headache are the common symptoms of stress. But, stress is curable. You don’t need medicines for this purpose. A modification in lifestyle is enough to get rid of stress. We are similar to gadgets and need proper rest. Insufficient rest can increase our trouble. A study reveals that people who sleep late at the night don’t get enough sleep. They feel inactive and lazy throughout the day. It increase pressure and give rise to stress. So, always sleep early in the night and wake up in the morning. Go for a morning walk. Inhale fresh and pure oxygen. You will feel fresh throughout the day. Pranayama is a part of Yoga. Do pranayama 10-15 times in the morning. It improves the blood circulation. Follow the routine for 7-8 days and you will find yourself active and fresh. The Magical word “OM” is the effective remedy for stress. The chanting of word “OM” in the sunlight will offer peace. Chant “OM” at least 27 times a day. 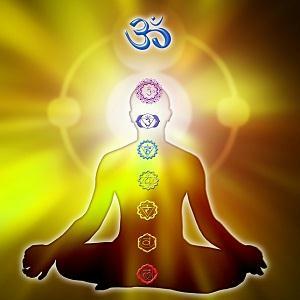 When we chant OM, it produces vibrations that remove dead cells from the brain. The best time to recite Gayatri Mantra is the afternoon time. Sit in the sunlight and recite the Mantra 108 times. The continuous chanting of Gayatri Mantra produces positive energy and remove negative energy. The continuous chanting of Gayatri Mantra produces positive energy and remove negative energy. Meditation is an exercise of focusing the mind. 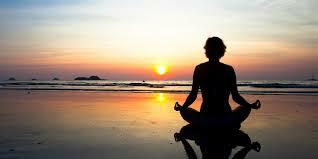 Sit on a mat, close your eyes and concentrate on the breathing process for 2-3 minutes. Try these effective 5 tips for 15 days and you will gain 80% relief from stress. Practice these things regularly and enjoy a happy life. Previous How to generate traffic from Facebook? Always useful to have some ways to decrease stress :). Getting to bed early might sound like the easiest one. But I’m really an evening person haha. That would be very difficult for me! Stress seems to be prevalent everywhere. Almost everyone I know has some level of stress! Meditation and breathing exercises sound like a good idea. Man I really need these tips right now. Going into hospital tomorrow and I haven’t been able to sleep a wink tonight. 🙁 I’m going to try the mat sitting and breathing and the om thing. I think we all have a certain amount of stress we would like to get rid of! There are some great tips here! Thanks! I love the breathing exercises! I do something similar every night before I jump in bed. Hello, It would be quite beneficial in the early morning. It is because your body will gain fresh oxygen that will charge your body cells. Thank you for this post. I love self help posts. I for one would benefit by going to sleep earlier. Sleep is essential to remain stress free. Thanks for the tips.